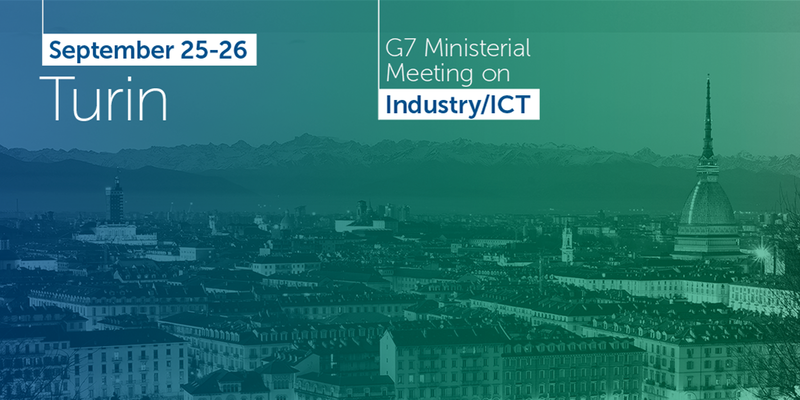 The G7 ICT and Industry Ministers meet on 25-26 September in Turin (Reggia di Venaria). The agenda of the meeting includes the transformation enabled by digital technologies, advanced robotics and data-driven production processes. In Italy, last year, the Ministry of Economic Development presented the Industry 4.0 National Plan. Industry 4.0 has a central role in the G7 Industry and ICT, whose key words are: inclusive, open and secure. Ahead of the Ministerial meeting, there will be a side event: the“G7 ICT and Industry Multistakeholder Conference".